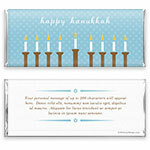 Simple style meets touching tradition on this sweet holiday wrapper. 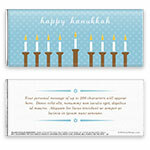 Design: Stylized Hanukkan menorah with patterned background. Personalization: Front greeting and back message.